Hey there! I am the creator of Always PHREA, which is a lifestyle blog that focuses on the young emerging leader providing them with resources to discover endless possibilities. 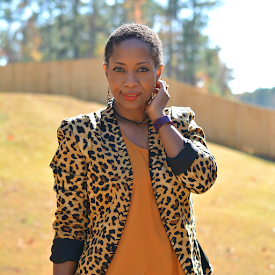 I’m excited to guest blog for Thriftanista in the City, and I hope you enjoy it as well. You may visit my blog at www.alwaysphrea.com. I will admit it. I absolutely love journals. I remember when I got my first journal while visiting Island of Adventures in middle school more than ten years ago. I have since purchased many different journals based on the themes. It’s a bad habit, but I love them. The issue is I will get ready to write in the freshly bound book of blank pages, but I have a difficult time finding a pen. 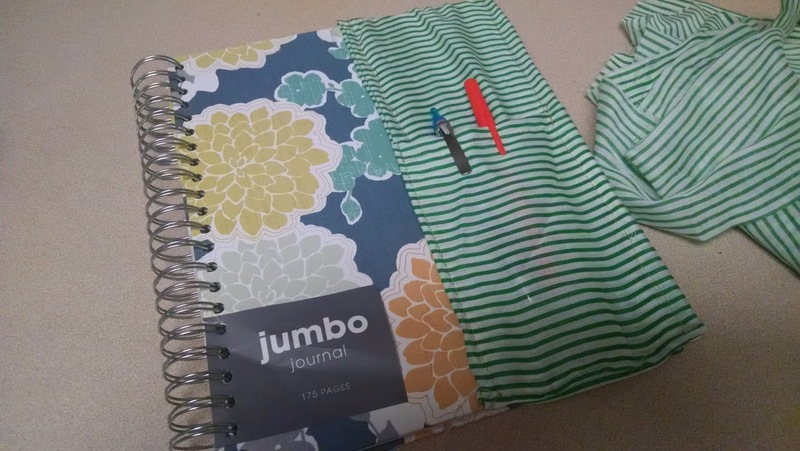 I visited my favorite site – Pinterest to find a new do-it-yourself idea to keep my pen close to my journal. I came across a pen holder by Made to be a Momma. I was inspired by theirs so I made my own version of it. It was easy to create it especially if you are a decent sewer. I found a random piece of fabric large enough for a small project like this one. The project took about an hour to complete the holder. Measure the journal. 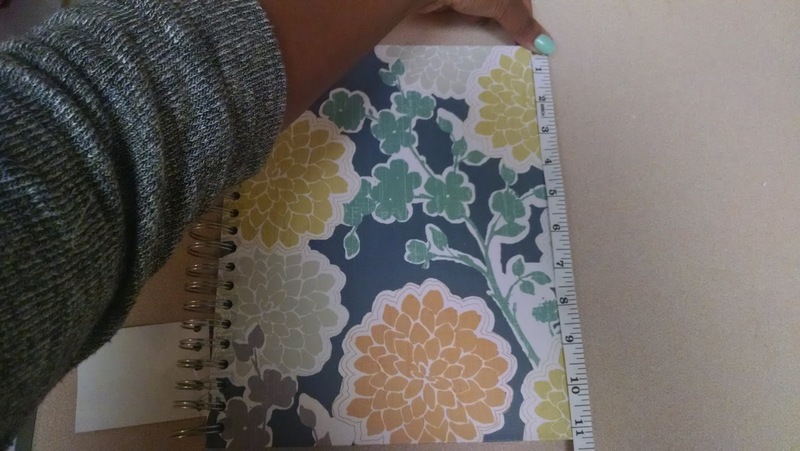 I recently bought a cool jumbo journal that measured 11 inches tall. I am sure the journal you will use will not be as long. 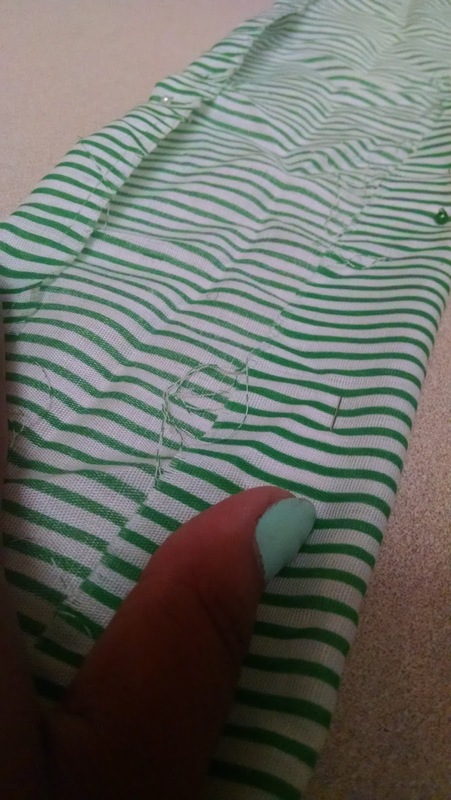 Cut a long strip of fabric on a flat surface. 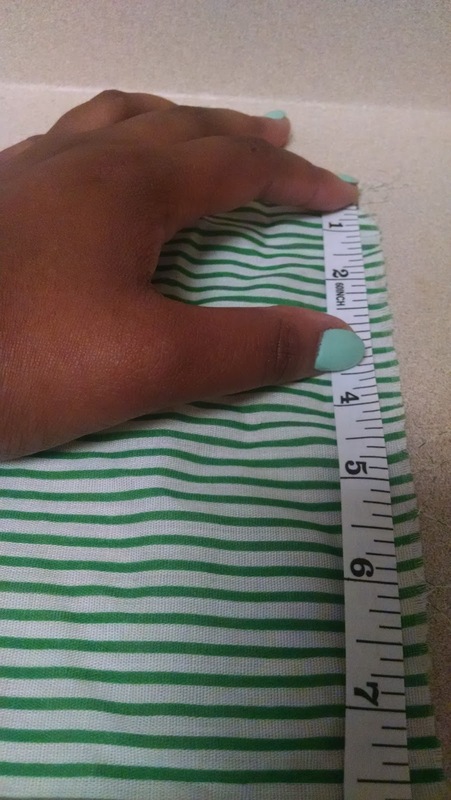 It should measure up to twice the length of the fabric. 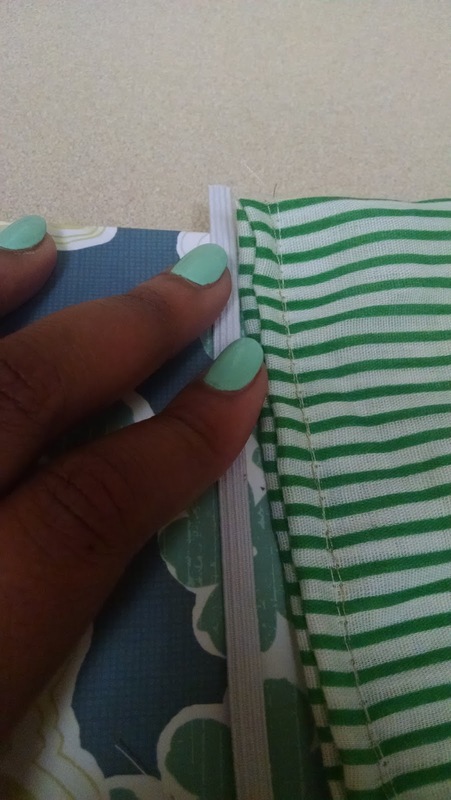 Cut a shorter strip measuring a little more than half of the length of the journal for the pocket of the holder. Set this aside for a while. 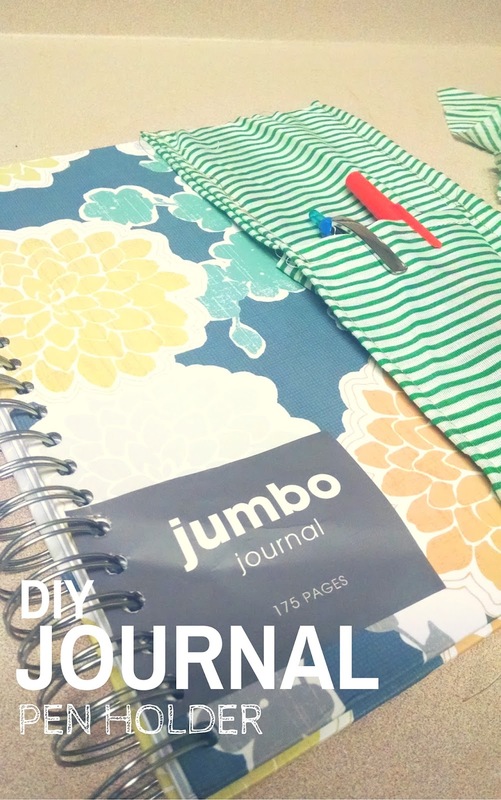 Cut two strips of elastic at least 1 inch shorter than the journal to present a nice fit. Don’t worry we will test it later. Now that all of the items are cut, it’s time to fold and prepare the fabric to be sewn. Fold the printed side of the fabric at least by one inch and pin it to create a solid hold while sewing the material on the machine. Using the machine, sew the folds on the material together. 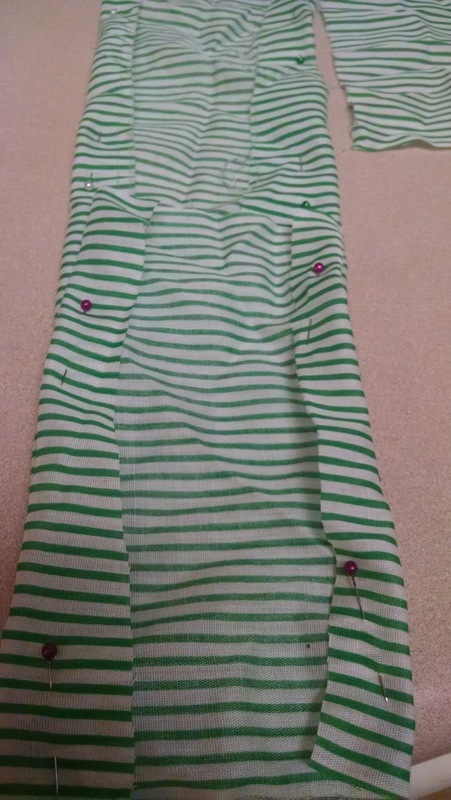 Fold the fabric in half, pin the side of the fabric again, and sew down again. Next, you will create the pocket of the holder. Fold the top of the pocket and sew a small seam. I wrapped the pocket fabric around the tall piece, and sew it to each other. 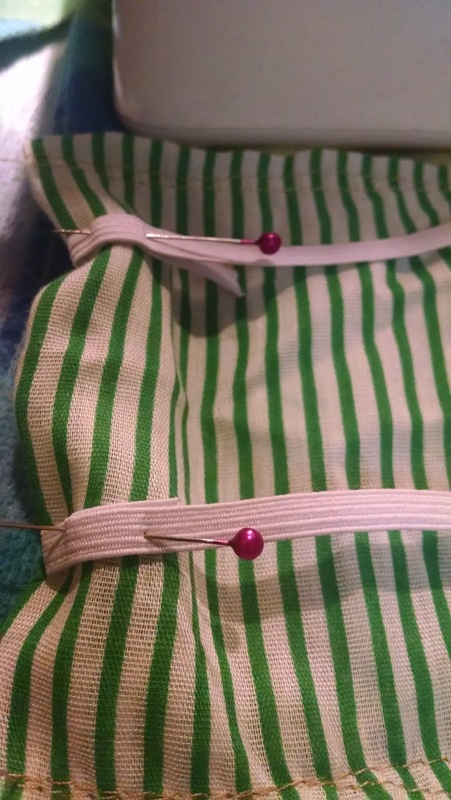 Using the elastic material, fold the edges on each end of the holder and pin it. Sew the elastic material to the holder. Voila. It’s completed! The next time, I will make the holder for a smaller size journal. I already have one in mind.